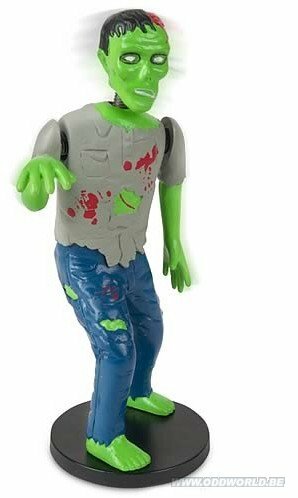 There has been some debate about whether slow or fast zombies are scarier, but what about the zombie that stands in place and menaces you with spring-loaded neck and arms? Terrifying! 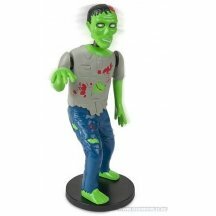 This vinyl Dashboard Zombie is a gruesome 5 1/2-inches (+- 14cm)tall. The terrifying brain hungry figure stands on top of an adhesive base and will waggle its rotting limbs at you no matter which direction you turn. Comes in a illustrated window box. Ages 13 and up. Order yours today!